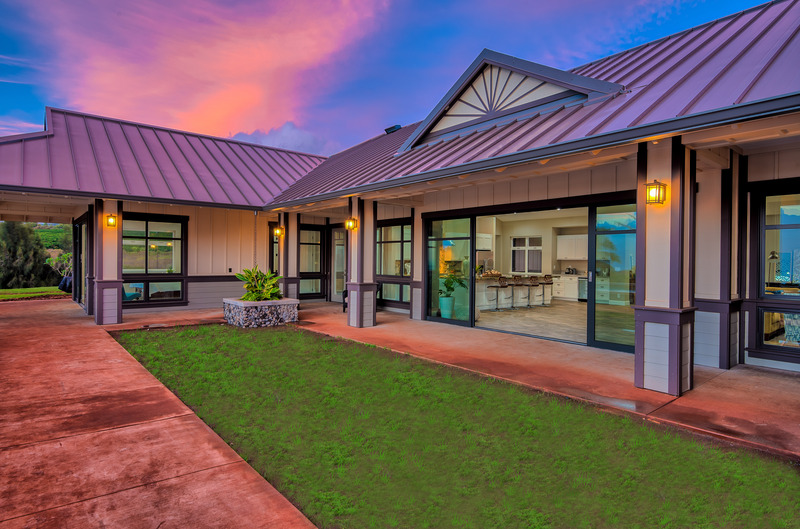 This newly constructed main home and detached cottage property are situated on 4.8 acres in the rolling hills of the Kaanapali Coffee Farms in West Maui. 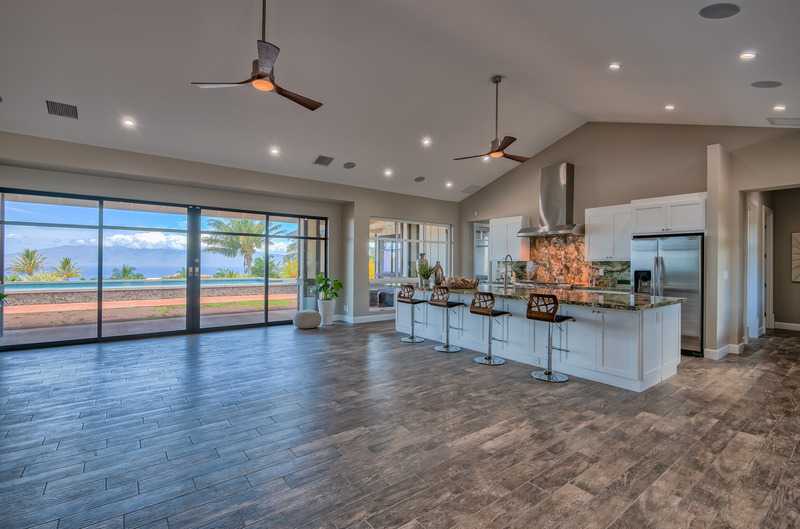 The home enjoys expansive and unobstructed ocean, island, and coastline vistas from its commanding hilltop position high above the Kaanapali Resort in West Maui. 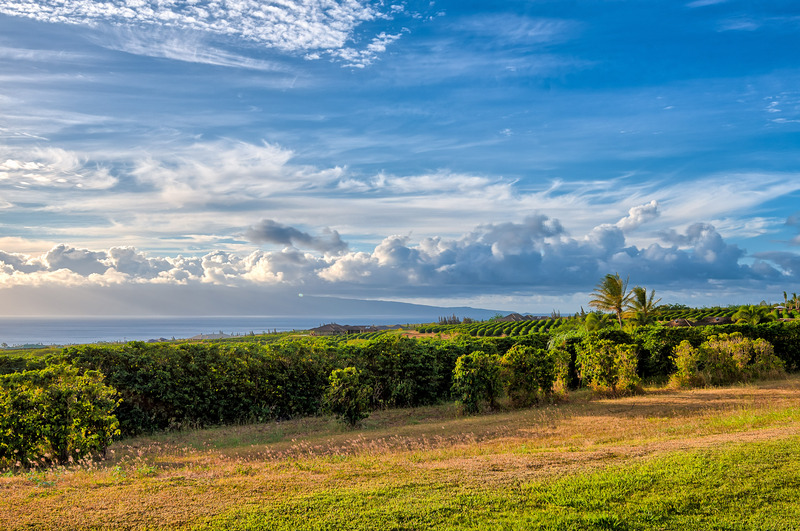 Kaanapali Coffee Farms is a gated community on approximately 300 acres of agriculturally zoned land and each lot is part of a working coffee farm. The crop is tended to by Kaanapali Farm Services and marketed and processed by MauiGrown Coffee. 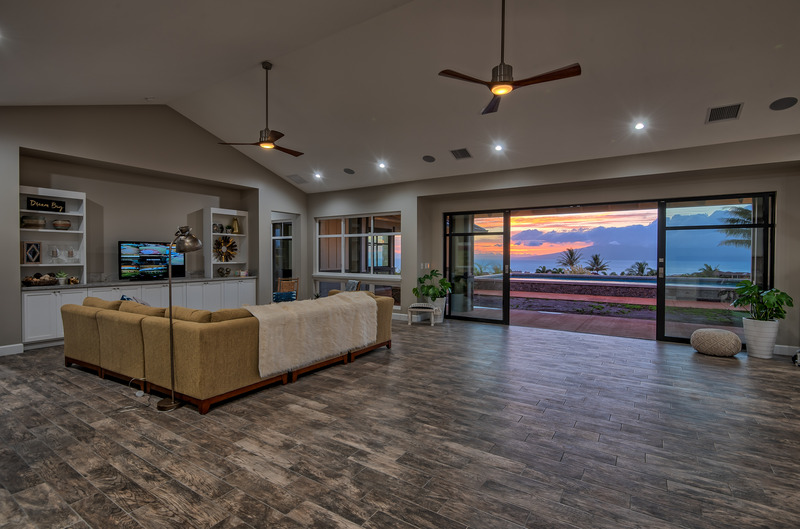 The main house has clean lines with a beach chic style and a fresh, comfortable and contemporary feel perfect for indoor/outdoor entertaining. In the main house, a generous area blends the kitchen, dining, and family room with high, vaulted ceilings enhancing its spacious look. 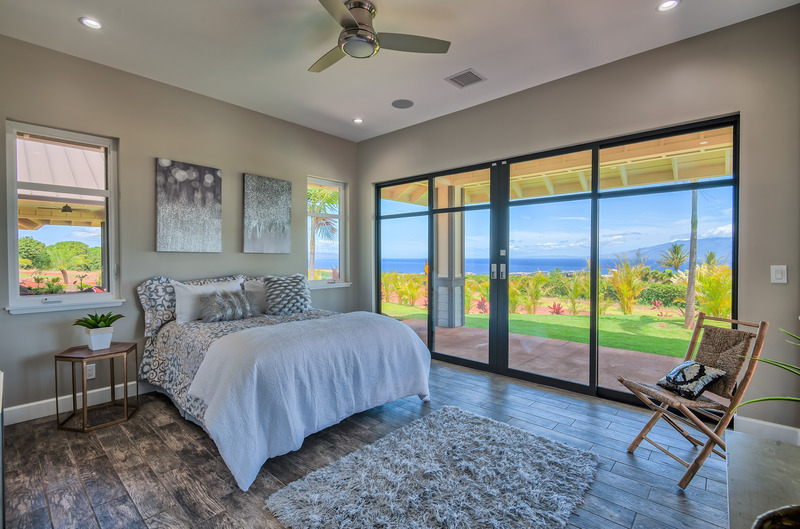 The split bedroom floor plan has two bedrooms on each side of the house with two of them having ocean views. All of the bedrooms have built-in ensuites, wet bars, and ample walk-in closet space. Other details include an office, laundry room, four-car garage, pool and hot tub plus a completely separate two bed/one bath cottage that mirrors many of the features, materials, and flow of the main house. 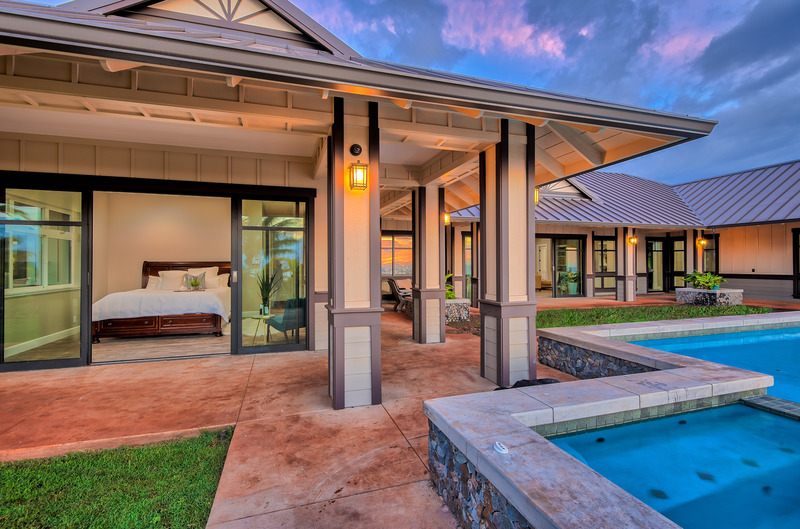 This home is listed for $4.399 million with Hawaii Life Real Estate Brokers, an affiliate of Luxury Portfolio International.